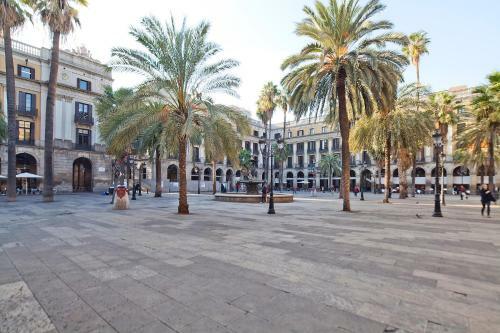 Set in the lively Plaza Reial Square, Enjoybarcelona Apartments offers air-conditioned apartments with free Wi-Fi. 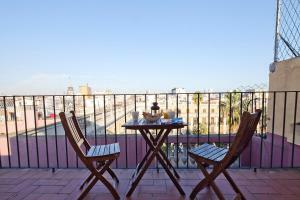 Centrally located, apartments are 100 metres from Las Ramblas. Some apartments have a private terrace. Featuring a modern décor, these heated apartments come with a lounge area with flat-screen TV and a well-equipped kitchenette including a microwave, fridge and kettle. Bed linen and towels are provided. You can find fresh produce and traditional tapas bar in the nearby Boqueria Market, 450 metres away. 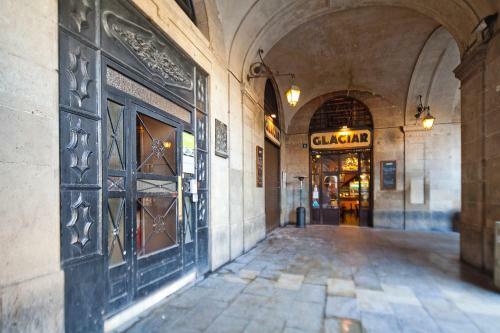 There are also a wide range of restaurants and shops open till late in the surrounding area. 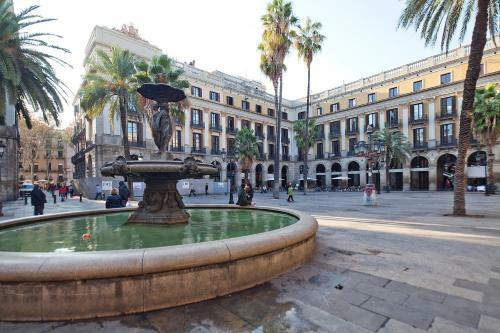 Enjoybarcelona Apartments are located in the Gothic Quarter, 10 minutes’ walk from Barcelona Cathedral. 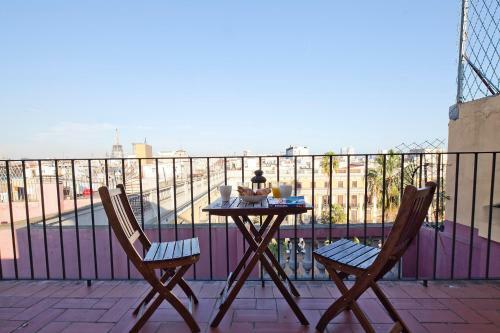 Well connected by public transport, the apartments are 300 metres from Liceu Metro Station. Please let Enjoybarcelona know your expected arrival time in advance. You can use the Special Requests box when booking or contact the property. A damage deposit of € 200 is payable in cash on arrival. This will be refunded upon departure once the condition of the apartment has been checked. Please note that only persons notified in the booking may occupy the apartment. 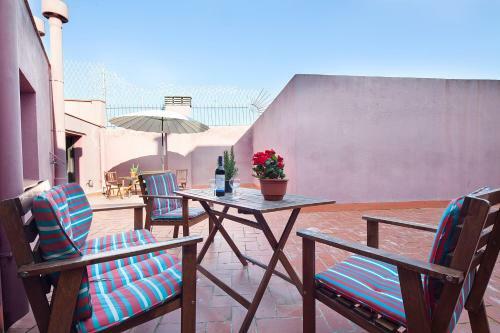 Featuring a private terrace, this air-conditioned apartment boasts a living room with a flat-screen TV and a well-equipped kitchenette including a coffee machine, microwave and fridge. The bathroom comes with shower and hairdryer. Rate: € 77.33 ... € 80.00; select dates below to get current rates. This air-conditioned apartment comes with a lounge area with flat-screen TV and a kitchenette including a microwave, fridge and kettle. The private bathroom comes with shower and hairdryer.